Born in Guayaquil, Ecuador to Lebanese and Spanish parents, Cecilia Villar Eljuri was raised in New York City. Her musical vernacular draws from the tangos and pasillos her mother composed, the cha-cha-cha she danced to with her father in the living room of their NYC apartment, the records she borrowed from her older siblings, and to New York City’s Lower East Side clubs like CBGBs that she snuck into and ultimately played at with her first bands. This passionate singer, songwriter and guitarist has toured all over North and South America with performances in Canada, the US, Mexico and Colombia. Performing live as a power-trio, Eljuri navigates through musical landscapes ranging from rock and pop-punk, bolero, reggae, and Afro-Cuban rhythms, all presented with an elegant and empowered female voice. Songs from her three solo albums “La Lucha”, “Fuerte” and “En Paz” have reached top ten radio and video charts including: Global Village Radio, !earshot, New York Music Daily, Codigo DF, Spin the Globe/Soundroots, Global A Go-go, Radio Xicano, Music Casserole, WorldBeat Canada, The World Music Show, Transglobal World Music, One World Radio, Sundrenched, A New Latin World, Rock en Rebellion. Deeply connected to her Latin roots and immigrant experience, Eljuri gracefully expresses a bilingual message of protest and universal truths through her award-winning songs. 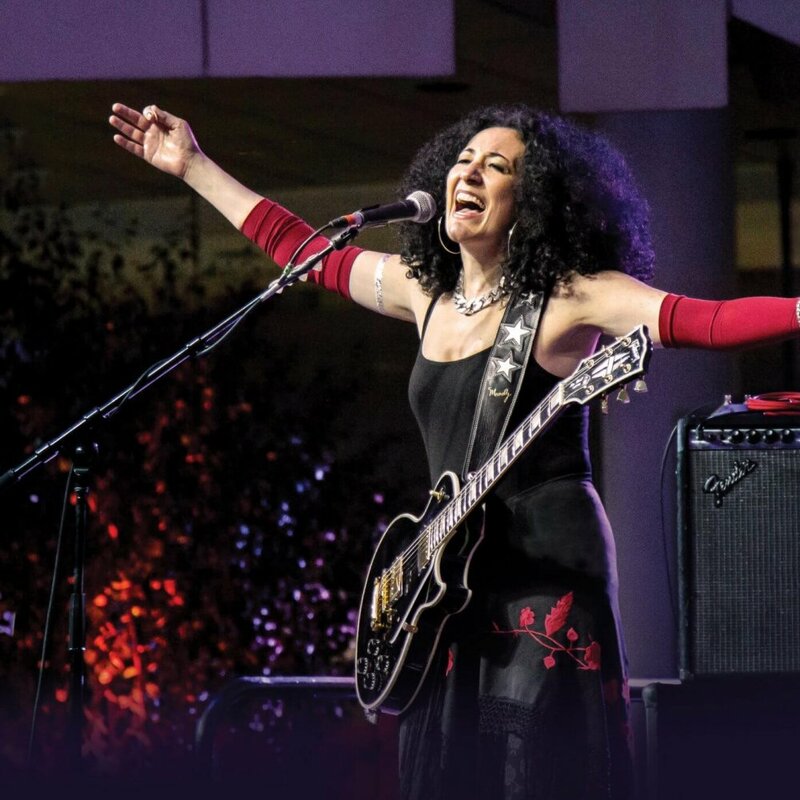 Touted as one of the best Latina electric guitar players in the world, Eljuri was named to the Gibson Family of Artists in 2008.